The parable of the mustard seed is a simple illustration about the incredibly deep subject of the Kingdom of God. A Christian should understand the Kingdom of which Jesus Christ is the King. Please read Mark 4:30-32 ESV before beginning free Bible study lessons, #4.12. Previous Lesson: Pharisee and Publican #4.11. 2. When does the Kingdom of God end? We're going to study the Kingdom of God today, so get ready for an important lesson in your Christian life. Jesus sought to share information about the beginning and future of the Kingdom with his disciples. Let's get started. Jesus taught the parable of the mustard seed to a crowd, including his disciples. It was the final parable of three, of which the first two were the parable of the lamp and the parable of the growing seed. The parable of the growing seed instructed that the Kingdom of God grows slowly, secretly, and mysteriously. Man doesn't understand it and cannot sense it with his five senses. The Kingdom can only be understood by certain people to whom God reveals the mystery (Matthew 13:11). Jesus, through the parable of the mustard seed, then informs the crowd that the beginning of the Kingdom of heaven is tiny, as small as a mustard seed. However, the finality of the Kingdom shows that it has grown into a strong tree where many birds come to nest in it's shade. Jesus shared this vivid parable in order to offer encouragement to his disciples. Kingdom work is laborious, strenuous work; therefore, Jesus was preparing their minds to handle stresses and disappointments of their future labors. The parable of the mustard seed has the Kingdom of God as it's main focus. The Kingdom of God (aka Kingdom of heaven, Kingdom of Christ, or simply the Kingdom) is owned by God the Father (Matthew 6:9-10). The Kingdom of God had the New Covenant issued for it's promise, and was predicted in the Hebrew Scriptures (Jeremiah 31:33-34). The Kingdom of God is the reign of God in the hearts of people. The Kingdom is the power of God residing within a man (1 Corinthians 4:20). The Holy Spirit is God himself, who enters a person's heart and eternally abides there (Ephesians 1:13-14). The Kingdom of God isn't worldly (John 18:36), it is other-worldly. It is not an earthly kingdom or nation, but it does invade the earthly kingdom, which is currently ruled by Satan (John 12:31). The Kingdom of God's headquarters is found in heaven (Acts 7:48-49). It has no borders. It waves no flags. It does not kill and conquer with physical strength. The Kingdom's arsenal includes a book and the Holy Ghost (Ephesians 6:10-17). The Kingdom conquers evil and sin through empowering believers with repentance, faith, and obedience. God is in complete control of the Kingdom (John 19:11). Jesus Christ is the Kingdom's King (Isaiah 9:7; Psalm 2:6; John 19:19). It is universal in the most literal sense - much more than global - and includes all creation (John 18:36; Psalm 2:8; Zechariah 14:9; Revelation 11:15). When Did The Kingdom Of God Begin? The parable of the mustard seed reveals the beginning of the Kingdom of God. It was tiny, like a mustard seed! Actually, the baby Jesus was the beginning (Luke 1:32-33). Jesus' arrival and ministry ushered in the Kingdom (Mark 1:15). After his death and resurrection he was required by God to return to heaven so the Holy Spirit could come to the aid of mankind (John 15:26; Acts 2:33). It started when the Holy Spirit came upon Jesus (Mark 1:10), and upon his disciples (Acts 2:1-4), also upon 3000 Jewish souls in Jerusalem (Acts 2:41), and finally, the Spirit fell upon the Gentile believers (Acts 10:44-45). From those humble beginnings the Kingdom of God has now spanned the earth for 2000 years. It started as small as a mustard seed and is now a very large shrub. The Kingdom carries on in the hearts of current, true believers. How Does The Kingdom Of God Look? The Kingdom of God is within a person (Luke 17:20-21 NASB). It's a regenerated heart and worldview established by the word of God. The Kingdom manifests itself in people who are transformed by God and the Scriptures. God changes a person's view points - his beliefs. God changes a person's mind. Once the person's mind has been changed then his/her actions and deeds bring honor to God, too. The Kingdom is invisible - spiritual. You can't see the Holy Spirit, but you can see the effects on a person's life, such as good deeds and a drastic change of activities. You can't see the wind itself, but you see the shaking leaves and swaying trees and know wind exists. Like the wind, Jesus said you can "see" the Kingdom of God, but only by his healing of people (Luke 10:9) and casting out of demons (Matthew 12:28), and the changed lives of people (Acts 26:20). Every time a person reads his Bible and does what it says the Kingdom of God grows. The parable of the mustard seed focuses on the most important entity in the world - the Kingdom of God. The reason it is the most important is that it includes forgiveness for people, and eventually life eternal. Nothing is more important than those things. A person can only enter the Kingdom as a humble (Matthew 5:3), helpless, poor (Mark 10:23-25), abused (Matthew 5:10; Acts 14:22), obedient (Matthew 5:19-20), little child (Mark 10:14-15) who has no where else to turn (Luke 12:31; 18:29). This seeking person, graphically represented by a child, comes with no pretense, no demands, no idols, and no resistance. Mark 1:15 shows Jesus proclaiming to repent and believe in God, because the Kingdom is now here. The Father loves nothing more than revealing his Kingdom to a humble soul (Luke 12:32). Your age doesn't matter - you have to approach your Father in heaven as the humblest of children. Can you do that? The parable of the mustard seed is mainly interested in the beginnings and the culmination of the Kingdom, but we can discuss how the Kingdom actually grows into such an enormous shrub. The Kingdom of God activity is mostly towards the work of redemption. What I mean is that the activities of God are mostly directed towards the salvation of souls. Kingdom activities focus on the regeneration of hearts and minds, and the claiming of another life from the clutches of the lost, sinful world. God's election of the chosen people from eternity past begins the activity (Ephesians 1:3-14). The Holy Spirit draws the people towards God, enabling them to understand and believe in God (John 3:3-5). Man then responds to God, like a child, by repentance and belief in Jesus Christ (Acts 20:21). Jesus' approval of the individual into the family of God finalizes the entrance of the individual into the Kingdom (Luke 22:29-30; Hebrews 12:28-29). Who is included in the Kingdom of God? The Bible clearly states that only born again (John 3:3-5), saved Christians (Colossians 1:13-14) are included in the Kingdom. These people are true believers from every nation on earth, from Adam and Eve through the final person who believes in God through his Son, Jesus Christ. Not one soul outside of what the Bible says will enter the Kingdom of heaven. These people in the Kingdom are not in a perfect state while living their earthly life, but at death they become perfect (Revelation 20:6). They are all part of Christ's true Church while living on earth, which we'll now discuss further. The Kingdom of God is within human hearts, being imperceptible to the physical eye. The Church is a gathering of those people who are in the Kingdom, but it isn't perfect. In other words, the Church includes some individuals who aren't yet a part of the Kingdom, and they may never become a part of the Kingdom. There are true citizens of the Kingdom, but also aliens inside, or within, the Church (Acts 20:28-31). The Kingdom governs the Church, because the Kingdom is perfect while the Church is imperfect. The reason is because the Holy Spirit is the source of power for the Kingdom, making it perfect; while humans empowered by the Holy Spirit are the source of power for the Church. Sin hinders humans from fulfilling Christ's desire of a perfect Church on earth. However, once Christ returns the Church will then enter the initial stages of final perfection. The Church will ultimately become his perfect Bride (Ephesians 5:25-27). When Does The Kingdom Of God End? Jesus' parable of the mustard seed uses a plant to describe the Kingdom, and all plants have a life-cycle. Therefore, it's natural to ask when the Kingdom will come to an end. As noted above, Jesus' 2nd coming brings the beginning of his Church's perfection and his 1000 yr earthly reign (Revelation 11:15). The Kingdom will be victorious over all sinful rebellions in the end (Psalm 110:1; Romans 12:21; Revelation 17:14). Never, never, NEVER will the Kingdom of Christ end (Daniel 2:44; 7:14; Luke 1:33; 2 Peter 1:11). There is a banquet table being prepared in the Kingdom (Luke 22:29-30). All of Jesus' true believers (aka the Church) are invited to attend marriage supper of the Lamb (Revelation 19:9). The Kingdom's final abode will eventually be centrally located in Christ's New Jerusalem, which he is preparing now (Revelation 21:1-2). It's magnificence is too brilliant for words to begin to describe it. Please take a moment to read Revelation chapters 21 and 22. Pray first for the Lord to open your imagination, and then plant a longing for this beautiful home in your heart. The parable of the mustard seed has this beautiful heaven in view, as the final resting spot for those who love and obey Jesus Christ. Practically speaking the Kingdom of God is a person living a life of goodness, peace, and joy in the Holy Spirit (Romans 14:17 NIV). The parable of the mustard seed reveals that the Kingdom starts like a mustard seed in our hearts and grows into a beautiful life. Notice how the application fits individually in our lives. Gratitude towards God should spring forth from our lives. Our praises of thanksgiving should rise to heaven daily. Personal service for Kingdom growth is our call, and the activity of those who love him. These critical things in your life prove your citizenship in the Kingdom. "Therefore, since we receive a Kingdom which cannot be shaken, let us show gratitude, by which we may offer to God an acceptable service with reverence and awe." (Hebrews 12:28). Knowing our future is secure - unshakeable - in the Kingdom motivates us to worship our awesome Lord. 1. The Kingdom of God is rather abstract in nature. Will the ultimate fulfillment of the Kingdom, i.e. New Jerusalem, be abstract, as well? 2. 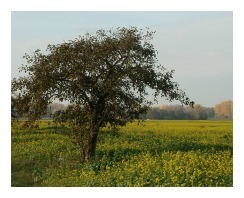 The parable of the mustard seed speaks of birds taking refuge in the mustard plant's branches and shade. Do the birds represent anyone or anything in particular? 3. Why isn't the Christ's Church perfect yet? Should non-believers be restricted from attending church? Why or why not? 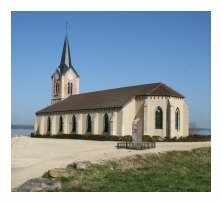 Should non-believers be restricted from joining church? Who discerns whether or not they're "believers?" Dear Father, the parable of the mustard seed shows us the humble beginnings of your Kingdom and then promises a massive, beautiful fulfillment. Thank you for your encouragement to maintain our precious faith and service to you. We need motivation because of the world's onslaught of evil and opposition to your gospel. O Lord, continue to edify us, strengthening us for the future battles. Help us persevere to the end, to our final breaths. In Christ's name. Amen. After sharing this Bible study lesson on Facebook or Twitter below download your Free Printable Bible Study Lessons: Parable Of The Mustard Seed #4.12. Please Donate To GG.com! Special Note: I'm grateful to Big Book Media & Free Bible Images, Stock Exchange, Morgue Files, and Stock Photos For Free for the use of their photos for Parable of the Mustard Seed Bible study lesson.